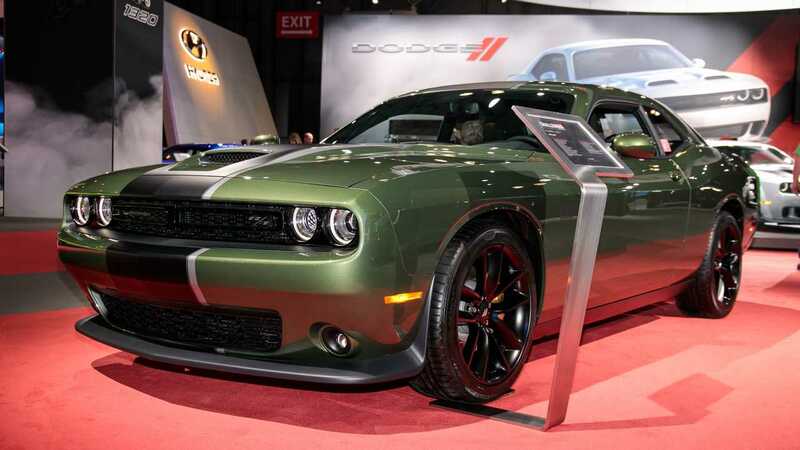 Dodge says its cars are very popular among the brave men and women currently serving in the U.S. armed forces – particularly the muscular Dodge Challenger and Charger. That’s why the automaker is offering a new special edition appearance package for both models, appropriately called the Stars & Stripes Edition. "Dodge is known for delivering custom looks straight from the factory. We also have a strong following of buyers who are in the military, as well as many buyers who are patriotic," said Steve Beahm, FCA's head of passenger car brands in North America. "The Stars & Stripes Edition is an opportunity to deliver a custom look with unique elements that speak to those performance enthusiasts who want to extend their passion for their country to the Charger and Challenger." For an additional $1,995, the Stars & Stripes Edition adds some admittedly cool touches. Most obvious is the large over-the-top Satin Black stripe with a silver edge outlining it on the driver’s side. A nice set of 20-inch black wheels sit at the corners, and there’s special badging to identify the model. Inside you’ll find black interior accents with special black-on-black seats that have a bronze star embroidered into them. There’s more bronze with accent stitching and a special badge on the instrument panel. And naturally, you can’t have a Stars & Stripes Edition without actually having the American flag somewhere. You’ll find it outside on both front fenders looking properly subtle in low-visibility, military-spec black. Speaking of black, Dodge has some additional news for Charger SRT Hellcat buyers. The crazy powerful muscle sedan also gets the Painted Satin Black Appearance Package that was previously only available on certain Challenger models. The roof, hood, and trunk receive a coat of dullish black for a more menacing look, but if a Hellcat isn’t in your future, Dodge is expanding its similarly themed Brass Monkey Appearance Package to more Charger and Challenger models. The new Stars & Stripes package will make its public debut next week at the 2019 New York Auto Show and will be available for ordering starting in May.